These FAQs are designed to provide a better understanding of the OORJA Journal Publication process and Terms & Conditions. We are happy to help you. Feel free to contact with us for further any clarification. 1. What is the scope of SHODH-AMRIT for publishing? 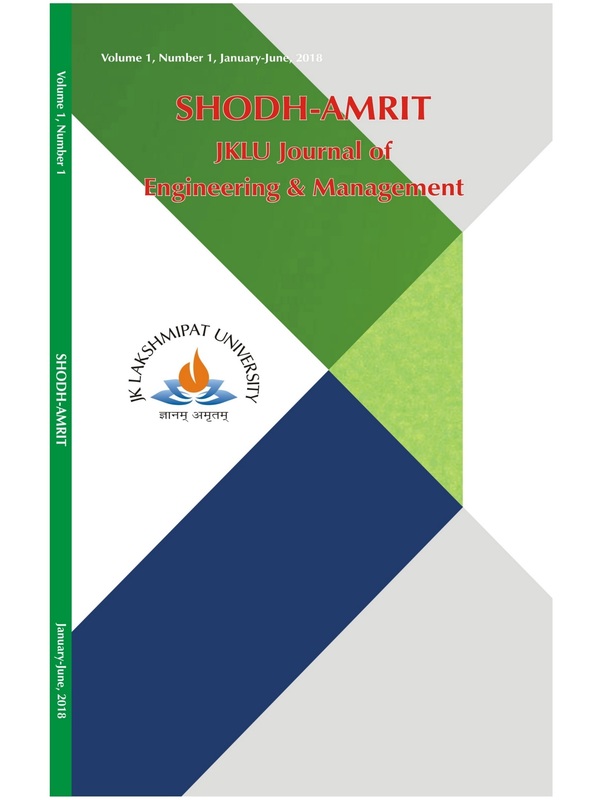 Ans: SHODH-AMRIT invites authors to submit their original and unpublished work that communicates current research on engineering, management & applied science, both the theoretical and methodological aspects, as well as various applications in solving real world engineering, science & management problems. 2. How to submit a paper? Ans: Authors are required to submit their full papers including conclusions, results, tables, figures and references according to author’s instructions. Complete research papers will be accepted in only .doc/.docx format. The manuscript may be submitted to email (editor.jjem@jklu.edu.in). 3. Is there any publication fee for a journal? Ans: No cost. It is free journal..
4. How many issues are published per year? Ans: We publish 2 issues per year (Bi-annual). 5. Where to contact in case of queries?